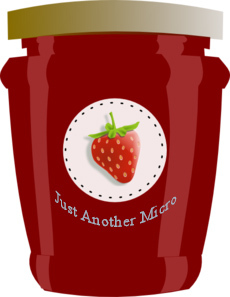 We’re not talking about the red sticky stuff sold by Hartley’s, we’re talking about geocaching JAM. You might be excited about placing your next cache, but will others be just as excited to find it? It may be that a micro is just what’s needed. It may fit in with your theme. Or it might not be possible to hide anything larger at your chosen location. Or perhaps having cachers search for something tiny in the great outdoors is too amusing a prospect to miss. But it may also be that you’ve not really considered anything else. Many people cache with children, and the younger ones in particular look forward to finding and exchanging swag. You can’t fit much swag in a bison tube or a film pot. And how often have you carried a trackable around with you for weeks because you didn’t find a cache large enough to place it in? Or not moved a trackable or geocoin on, simply because you knew it would be difficult to find somewhere to leave it? Even the seasoned old cachers among us love to find a nice big ammo can, and the caches “as big as a dustbin” are talked about whenever cachers get together. We know there aren’t many opportunities to hide something as large as that, and ammo cans can be quite expensive. But a good sized sealable sandwich box costs about the same as a decent bison tube or other waterproof micro and it won’t rust. And you probably have some odds and ends already that would serve as “swag”, such as a spare keyring, that charity badge you bought but don’t wear, or, if you’re like me and don’t throw anything away, the contents of last year’s Christmas crackers or a pack of crayons that were never used. If not, a slight detour at the supermarket will take you to the party favours or stationery aisle where you’ll find novelty erasers, whistles and other cheap items to fill your next offering to the geocaching world. So think outside (and inside) the box next time you plan a cache. Would it be a more exciting find if it was a bit bigger? Perhaps you could even add some “themed” swaps to add to the interest. If you feel inclined, you could even make a bespoke container yourself, but that’s a whole other story!